Glycolic acid 70%, glycolic acid 99%, valproic acid, sodium valproate, disodium valproate, sodium cocoyl glycinate, sodium lauryl glycinate. Short on time? Let proplene-glycol sellers contact you. There are a lot of ways when it comes to fashion, as this is a manmade fabric, and not a natural choice such as silk, cotton, or wool. But even though it is not natural, surely it has a lot of positive points. Polyester it is a shortened name for a synthetic, man-made polymer, which, as a specific material, is most commonly referred to as a type called polyethylene terephthalate (PET). It is made by mixing ethylene glycol and terephthalic acid. That all sounds extremely scientific, but basically, polyester is a kind of plastic. When made into polyester fabric, it can be used to create clothing, furnishings, textiles and more. If you love your clothes, you are probably already aware that if you check their labels, you can see what they are made from. If a natural fabric is mixed with polyester, then you will see the percentages of each on the label. 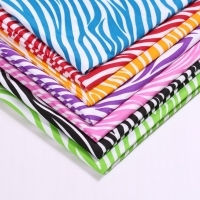 YARN & FABRIC produce a lot of varieties of 100% POLYESTER and POLYESTER BLENDS. We produce POLYESTER & BLENDS in all possible weaves such as Satin, Plain, Dobby, Oxford, Twill, Drill etc. We produce POLYESTER & BLENDS fabric with possible width 44 inches (110 cm) â?? 120 inches (300 cm) of grey fabric. We produce POLYESTER &BLENDS fabric with possible weight (GSM) up to 400 grams. 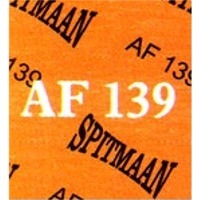 All POLYESTER &BLENDS fabric can be done as grey, ready for dying or printing, dyed and printed. Also, it can be produced with resistance to fire, water, oil etc. 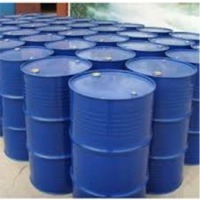 Acetone, acetic acid, benzene, ethyl aceted, formal dehyde, hydrogen peroxide 50 %, M.D.C., I.P.A., methanol, N. Heptane, ortho xylene, mix xylene, phenol crystal, phenol liquid, M.I.B.K., D.O.P., D.B.P., m.E.G, D.E.G, phalic & melic, D.M.F, t.H.F, triemylamine, toluene, proplene glycol, indole, indole-3-butric acid, indole-3-acetic acid, styrene monomer, iodine, pottasuim iodide, sodium iodide, nitrobenzene, D.E.S., B.H.T. 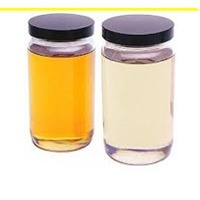 Propylene Glycol Industrial Grade DOW Origin Propylene Glycol, Industrial (PGI) Grade, is a high purity material produced by the high temperature and high pressure hydrolysis of propylene oxide (PO) with excess water. PGI is a distilled product with a purity specification of minimum 99.5% and is available from The Dow Chemical Company in drum, IBC and bulk quantities. 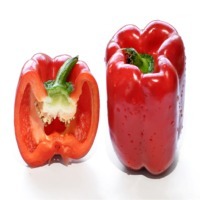 PGI is a colorless, water soluble, hygroscopic liquid with a characteristic glycol odor, medium viscosity, low vapor pressure and low toxicity. Dowâ? ?s Propylene Glycol, Industrial Grade is widely employed in numerous industries, having a wide range of practical applications. We can manufacture various sizes according to the customer needs. It is an organic compound widely used as an automotive antifreeze and a precursor to polymers. In its pure form, it is an odorless, colorless, syrupy, sweet-tasting liquid. Ethylene glycol is toxic, and ingestion can result in death. It is an organic compound widely used as an automotive antifreeze and a precursor to polymers. 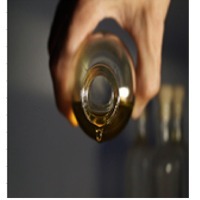 In its pure form, it is an odorless, colorless, syrupy, sweet-tasting liquid.